IT’S BACK!!!!! This adult event will be sure to bring an evening of fun, food, dancing, and great socializing. Heavy Hors D’oeuvres and drinks will be served. Cost is $30.00 per person in advance. 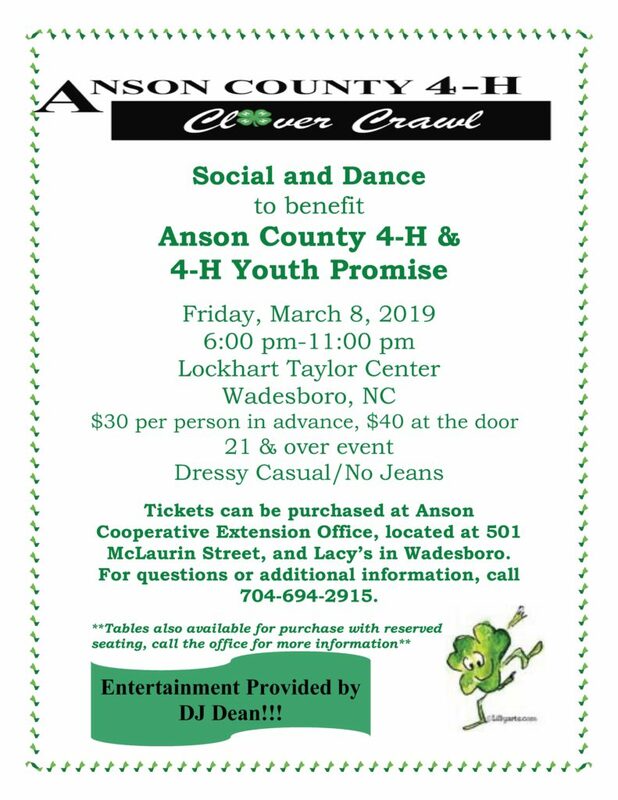 Funds raised will be used to support on-going 4-H youth programs in Anson County. Tables are also available for $300 which includes eight tickets with reserved seating.